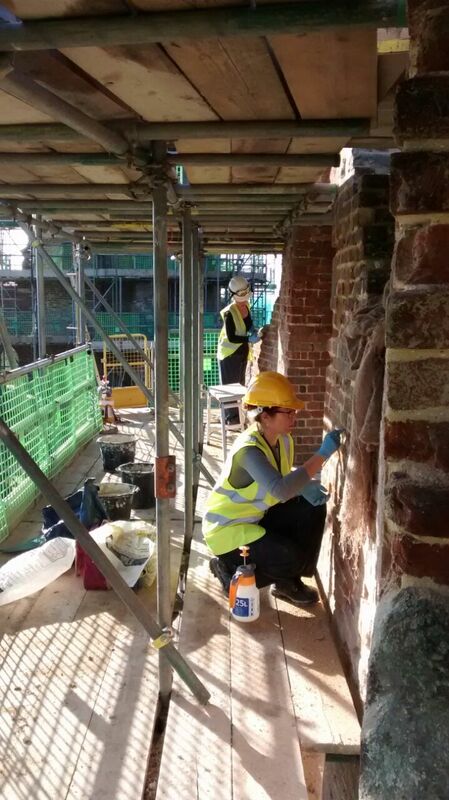 Andrea at Cliveden Conservation talks us through the day in the life of a conservator on site with the Folly Project at Wimpole. 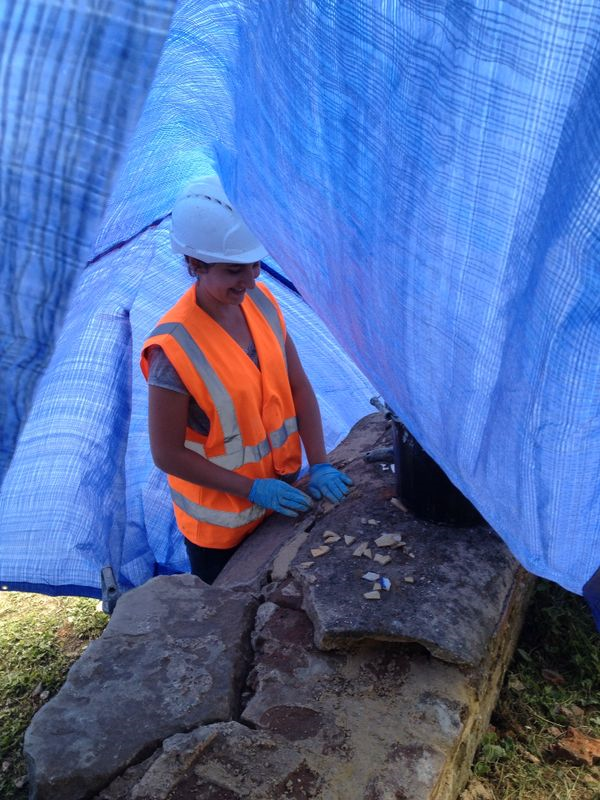 Conservators work in all sorts of buildings, in varied locations, in all weather conditions. 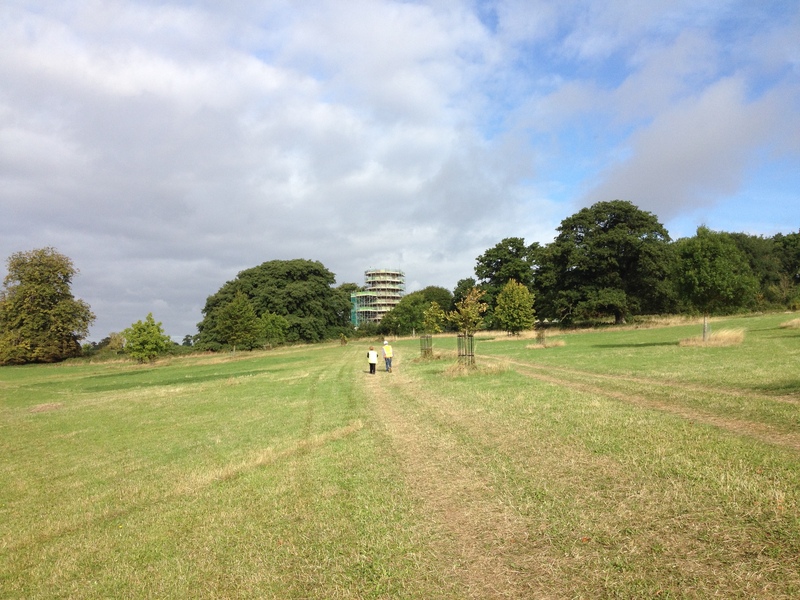 The Gothic Folly project is reasonably physically demanding: it’s a large site, on a hill in the middle of fields so everything takes a bit longer on the big scaffold, with many of ladders. The members of our team live all over England and taking accommodation closer to Wimpole for the duration of the project has made our commute a bit easier. Our day starts around 7.30am; we meet at our compound to sort our tasks for the day and gather our tools. 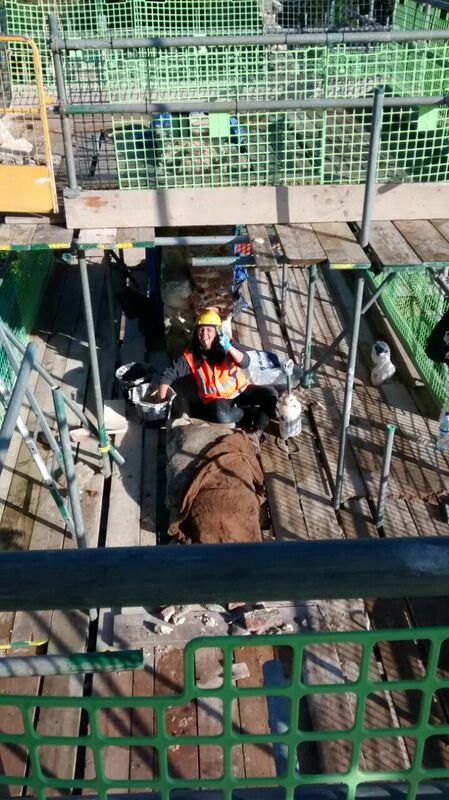 By 8am we’ve taken our places on the scaffold and work is in full swing: gathering water and materials, caring for pointing and mortar repairs from previous days, raking out joints, brushing down surfaces, knocking up a mix, making repairs, lime washing. 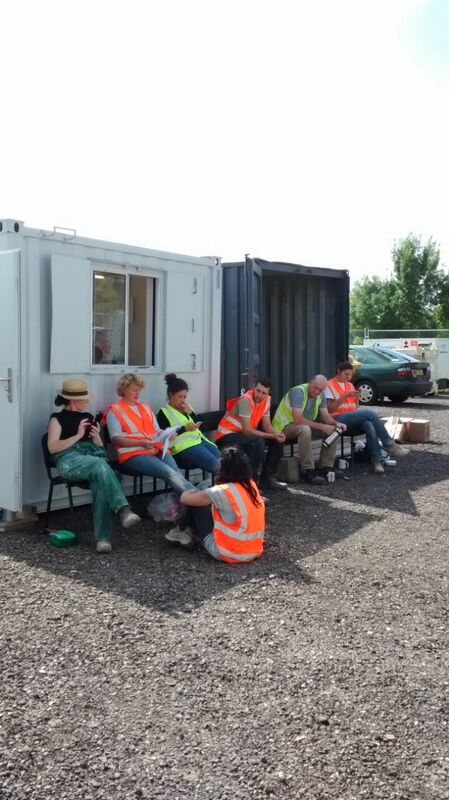 Some of us chat while we work, others listen to the radio, some even sing. Sunny days are best; shirtsleeves rolled up and sunglasses on. When threatened by rain, we’ll have our rain gear close by and the extra tarpaulins at the ready to cover our work (and ourselves!). Our Tea Time and Lunch breaks are called by a shout or a whistle across the folly. Once down the hill, with a hot drink and packed lunches in hand, we chat and catch up, grabbing mobile reception to make contact with the outside world, then head back up for the final push to the end of the day. Another shout across the folly signals it’s time to wrap up. We secure our work against the weather overnight, tidy, lock the site and head home for the evening, in time to get enough rest to get up and do it all over again the next day.